Pieter Toerien and Hazel Feldman are searching for a Sandy for their upcoming production of ANNIE! If you have a dog that resembles the one in the pic above and feels that he/ she might like a chance in the spotlight, then please message mark@montetheatre.co.za directly with a pic of your dog and we will be in touch! You must be based in either Johannesburg/ Pretoria or Cape Town. 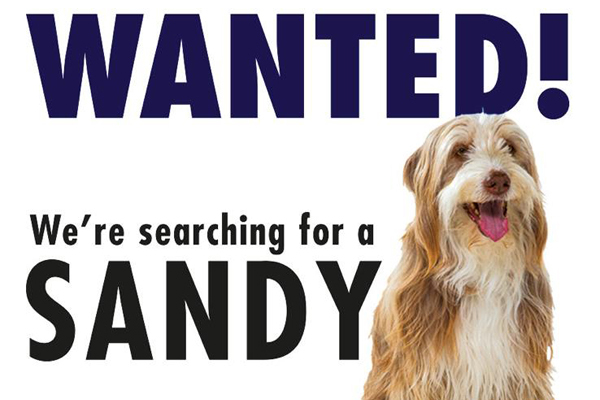 Please share and spread the word and help us find the next star of the stage – Sandy!